Publicity. Everyone wants it. Every business knows that there is nothing like publicity to bring your business into the public eye, boost your business and make your phone ring. But publicity is expensive. Big companies hire public relations to work on staff, or they hire public relations agencies to handle their publicity needs. So how does a small business get publicity? If you can’t afford public relations staff and you don’t have the budget for a public relations agency, there is still something you can do to get media attention: write a press release and get it distributed in the right places. Your best chance of getting a story about your business into the mainstream media is to write a press release. The press release is a difficult thing to write. And a good press release is that much more difficult to write. Learn how to write an attention-grabbing press release and start doing what you need to do to get picked up by local or even national media. The Elements of a Good Press Release. So what makes a good press release? A good press release is newsworthy. Period. 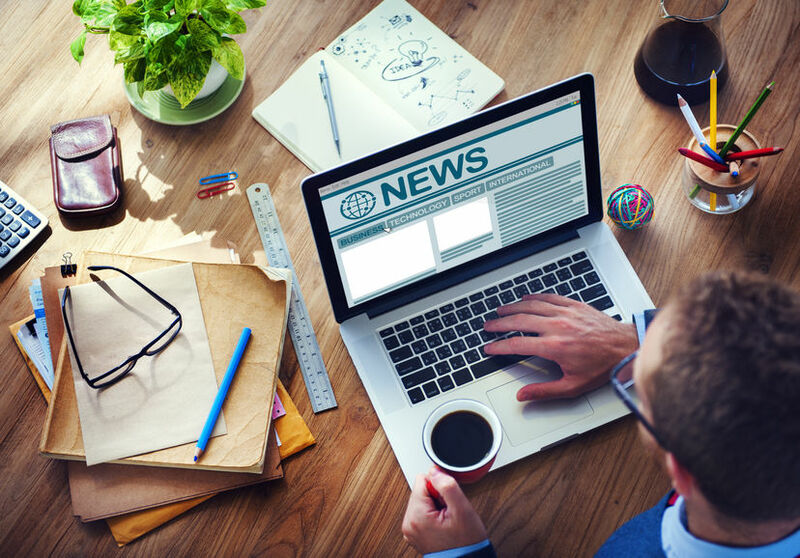 If it’s newsworthy, your press release may get picked up by a news outlet or maybe even by one of the newswire services. But there are very strict rules about what to include in a press release and how to get it seen. If you want to get a press release into a local newspaper in your hometown, you must write the press release as if it already appeared in that newspaper. Get a copy of that paper and look at the articles there. You should know that at least 50% of all newspaper articles today were written by public relations people, and many newspapers run these article almost exactly as they were written. Newspapers are struggling today – thanks to Internet advertising and other issues – and newspapers have laid off many of their journalists and many of their editors. They don’t have the resources to send out journalists to cover every story of interest. And they don’t have editors to edit/change your story so it fits in their publication. Many times, they will publish your press release as you wrote it. So the trick is to write a press release yourself and have the newspaper publish it verbatim – or almost verbatim, perhaps just adding a quote from one of the protagonists mentioned in the press release. So let’s say you operate your service business in the Los Angeles metro area. Let’s look at the Los Angeles media market, and see how you can write a press release that will be printed in one of Los Angeles’ local newspapers. In addition to its main city daily – The Los Angeles Times – Los Angeles also has many local newspapers. In Santa Monica, there’s the Santa Monica Breeze. In Westwood, you have the UCLA paper The Daily Bruin. Pasadena has a local newspaper, Culver City has a local newspaper, and most cities do. Decide which local newspaper you want to be featured in and write a press release specifically for that newspaper. Copy the style of the other articles in that specific newspaper. Count the number of words in that paper’s articles, and write a press release with the exact same number of words. Your Press Release Must Have Local Relevance. In order to get your press release into even a local newspaper, it must be relevant in some way to that city. If you are a resident of that city, or your business is located in that city, you might get your submitted story printed. If not, don’t even try. If you are a UCLA alumnus/a, you might get your story run in the Daily Bruin. But you need some kind of local angle, otherwise the newspaper will potentially pass on your story. Your Press Release Must Be Newsworthy. In addition to your story requiring a local angle, it must also be newsworthy. So exactly what defines newsworthiness? A newsworthy story is one that will be of interest to a significant number of any newspaper’s readers. If you run an HVAC company, and you invent a new hand-held air-conditioner that runs on water, you’re in: every local paper — and even national newspapers — will be interested in your story. So you write a press release around that. If you have a plumbing company, and you’ve invented a new way to unclog a blocked drain or toilet without using a plunger or auguring device, newspapers will be very interested in your story. But too often, companies send out press releases with nothing newsworthy in them. The fact that you just recarpeted your reception area is not a news story, nor is the fact that you’ve just configured your entire office for wireless printing. It is amazing how many times press releases containing non-newsworthy items like this are sent out — in the hope that someone will pick them up. Don’t waste your time. Wait until you have a newsworthy story, then write a press release and send it out. A press release is no use to you if it doesn’t get seen. When trying to write a press release, you must do your best to get your press release into the right hands. If you’re writing your press release for a specific local newspaper, as described above, you must send it directly to that newspaper. But you may have a newsworthy story that you feel should be sent out to several (or all) media outlets. What do you do? To get the best distribution for your press release, we highly recommend that you use one of the wire services. There are many wire services; Some are free, some will cost you up to $500 per release, and some don’t charge money but are the holy grail of media professionals: the major newswire services. The main ones in this category are Reuters, the Associated Press (AP) and the Agence France Presse (AFP). All major press releases are sent to these newswire services. If they pick up your story, you can find your article in hundreds of newspapers around the country. The AP supplies news to 1,500 newspapers around the country – everything from The Florida Sentinel to The Philadelphia Enquirer. If the AP picks up your story, they will circulate it to all 1,500 of their newspapers, and you can see your press release – with very few or even no changes – in all their newspapers. There’s nothing like it. Each newspaper will print your article almost verbatim. That is the ultimate public relations home run. As a business, you should be constantly trying to build your list of media contacts. Every tradeshow and every public event is attended by the media. Make friends with print journalists and TV news reporters like it’s the most important thing you can do. Build your list, and when you send out any press release to the newswire services, also send it directly to any media contacts already on your list. After you’ve sent out your release, it doesn’t hurt to follow up and call your media contacts and make sure they saw your press release, Ask them if they need anything else – samples of product, sales materials, photographs or B-rolls – anything they might need to help them produce a story about you. Just remember that journalists are almost always on deadline, so don’t be a pain in the you-know-where. Shorter Press Releases About Smaller Stories. So let’s say you don’t have a national interest story and the major newspapers will not cover you. But there are still opportunities to get some press mention for some of your local events and/or accomplishments. If you’ve just switched your entire fleet of service vehicles over to hybrid vehicles, it may not be a national story, but it can certainly appear in local media. Even the Los Angeles Times has several places where they run short stories — all of them from press releases submitted to them. You might only get a short mention — a few lines — but you need to get as much of this type of publicity as you can, until your company, one of your employees, or even one of your customers — does something that can be deemed newsworthy. Other examples of where you might succeed in getting a short press release in a newspaper about your business include your upcoming appearances at industry tradeshows and conferences, or you can announce a new hire, announce a new office location or the purchase of the latest equipment in your industry, or even the granting of a new professional license or credential to you or one of your employees. Keep trying. Getting publicity can be tricky, but it’s also vital to your business. Every mention of you anywhere on the Internet will push up the rankings of your site at Google and the other search engines. You will be astounded at how effective good public relations can be. It makes you look like an expert in your field, and it makes your phone ring. Sometimes, the appearance of a small release about your business can lead to a journalist seeing your story and contacting you for more information. This is every business owner’s dream – to have a journalist contact you with a view to doing a bigger story about your business — all based on the little printed article they saw about you. Public relations is a vital part of your marketing mix. If you can’t afford to hire public relations professionals, learn how to write your own press releases and you will be amazed at what can happen. Remember – there’s only one thing worse than being talked about, and that’s not being talked about. Learn how to write and distribute good press releases and you will soon find that people are talking about you and your business. Good luck!